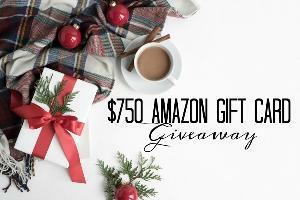 Prize: Enter to win a $750 gift card to Amazon. What you must do to enter: Must follow the instructions on the Rafflecopter widget. Statistics: This contest was opened by 85 and entered by 12 ContestChest.com members. 14% of those who opened the contest, entered it.